Hello Beth, Hurricane Ridge shaped by the wind and snow. 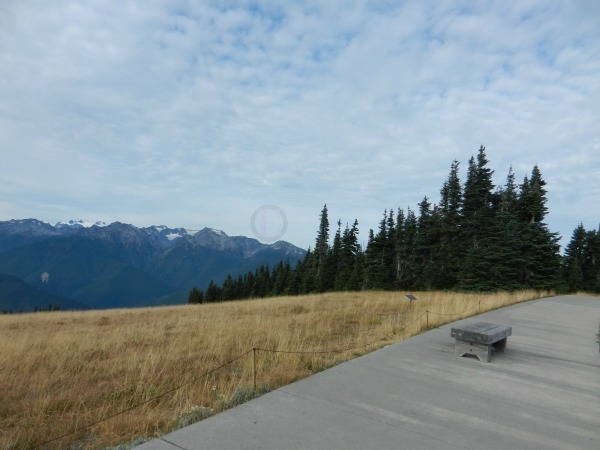 It supposedly has wind gusting up to 75 miles an hour, which leads to the name Hurricane Ridge. When were you there, we went Sept30-Oct 8 2016. We have have just missed you. We might actually make it to Washington this year on a summer road trip. stunning cloud formation, looking a bit like cotton in the sky!!!! a beautiful place!!!! 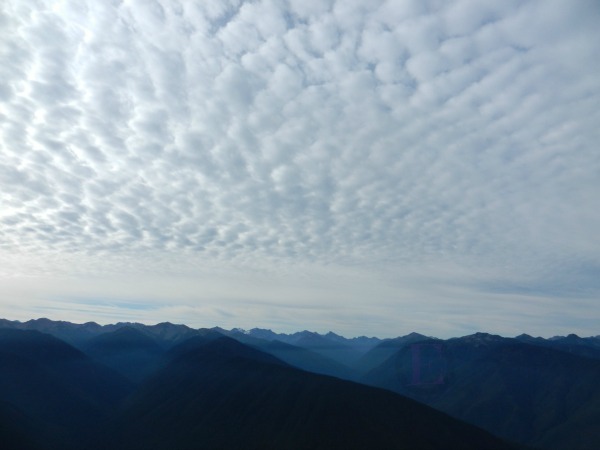 Love the clouds..Looks like white sand on a desert..
Beautiful, Beth....love that sky, too. Beautiful shots. I was wondering about that name as well. Amazing views. I would imagine Eileen's answer is true. A fine series on this marvelous mountain area. The view is excellent from this viewpoint. The clouds look like a cozy, warm blanket. I see bolls of cotton... quite a remarkable sky! Good Golly, Miss Molly...when are these gorgeous pictures of WA going to end. I am drooling as I looking at them. I wanna be out there so badly. The clouds are very pretty. I love the view of the mountains. the clouds in the 2nd photo look like snow! It looks like you're on the tippity top of the world. The clouds in the 2nd photo are a really interesting patter.